Every month I participate in one of my favorite marketplaces. This is a place where I get to connect with the community and share some of my experimental ideas as merchandise. It is also one of the few places where you can grab some of my work to add a little magic to your world and grab a hug from me at the same time. An artist’s talk on The Great Migration and the series of paintings it inspired. 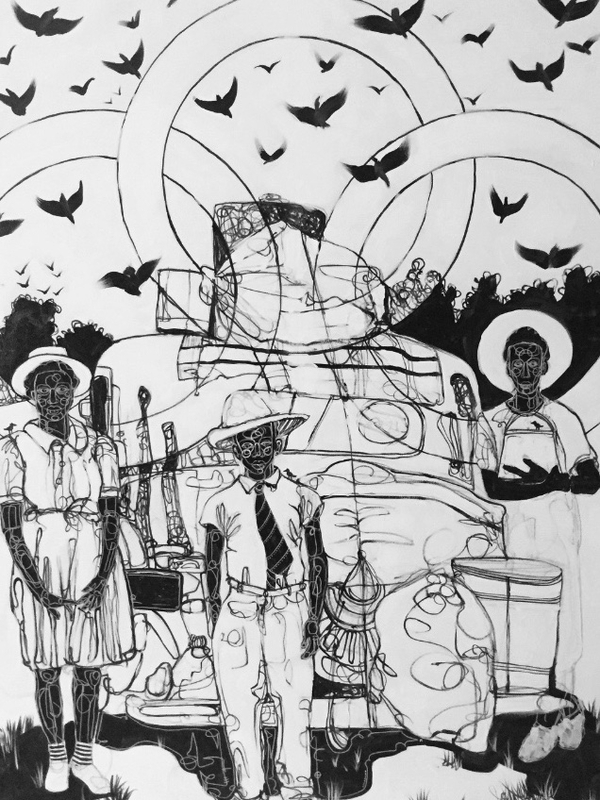 The Great Migration is an ongoing series of work by artist David Anthony Geary. 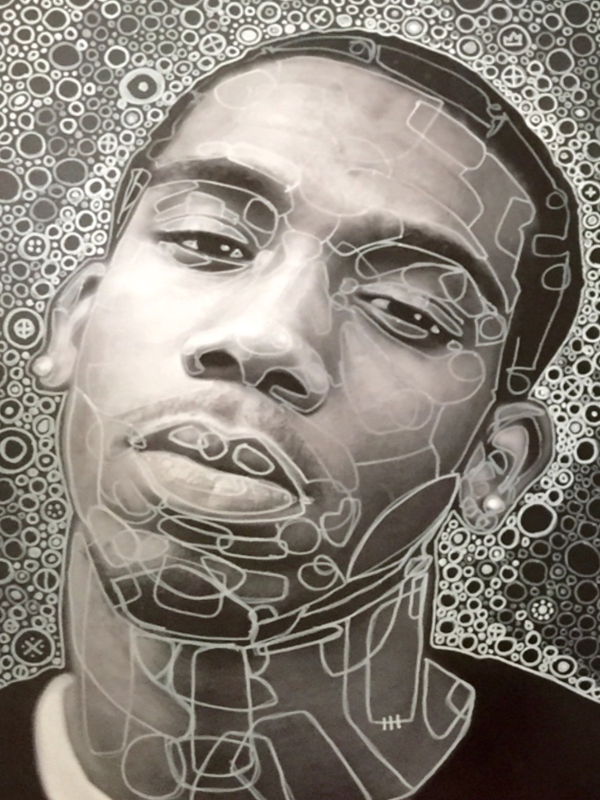 This excerpt of the body of work will be on display through March 14th 2019. The portrait (wether painted or photographed) has long been considered a symbol of status. At the turn of the century Kodak introduced the Brownie, a personal camera that made the portrait and other types of photography available for working class families. With this camera people were now able to capture their own experiences and craft their own images to tell the story of their lives. Birds are deeply interwoven in the myth and lore of the world. These birds have been seen and depicted as involved with powerful forces in almost every major culture recorded. An allegorical symbol often used as a placeholder for people, the bird embodies the idea of freedom. 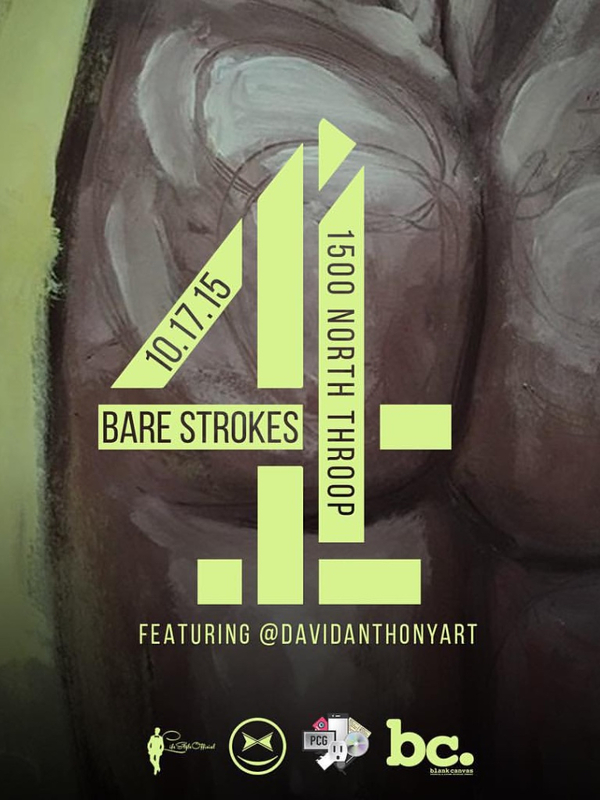 Showcase and live painting from visual artist David Anthony Geary. 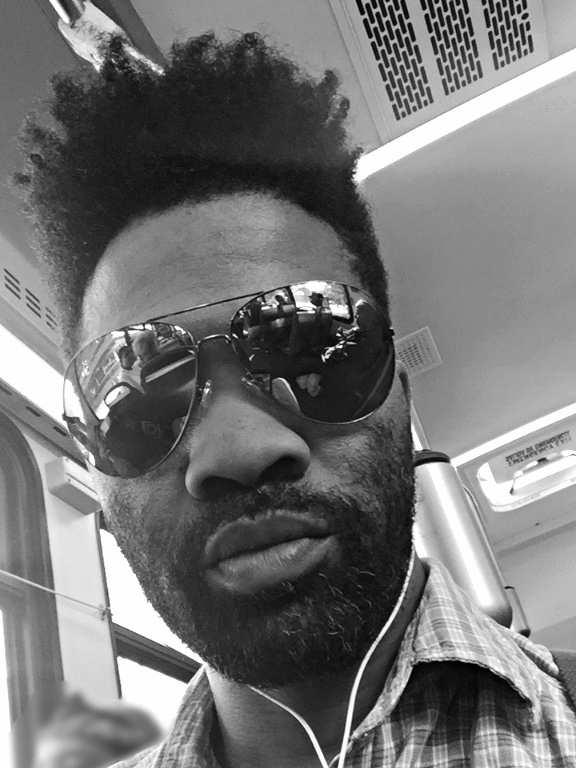 Sam Trump and a 20 Piece Wind Orchestra will be performing Nat King Cole’s 1958 record 'THE VERY THOUGHT OF YOU' at Aura Sounds Sessions under the Jazz Record Art Collective. The last chance before to grab these goodies in time for holiday gift giving!!! 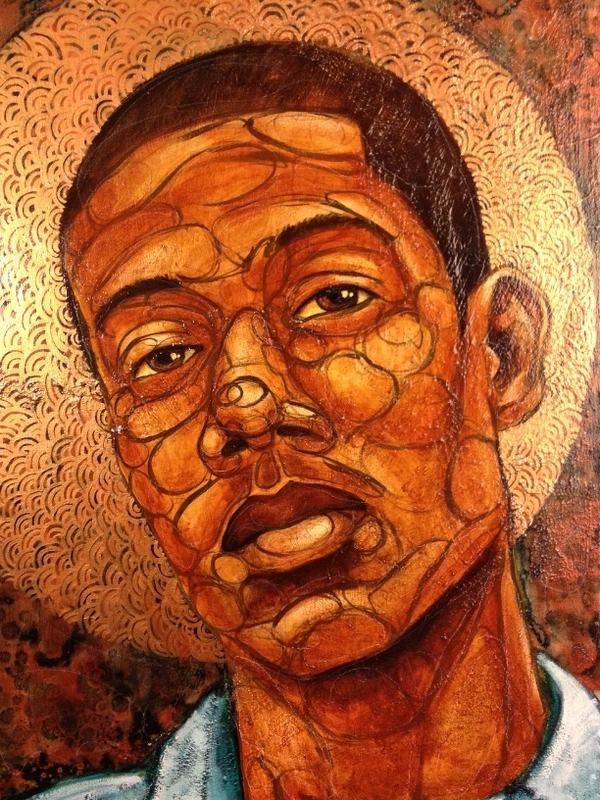 The Harlem Fine Arts Show is a traveling art show. this is my second year doing the Chicago run. A new body of abstract painting exploring life, love, relationships, and the last year of my life. 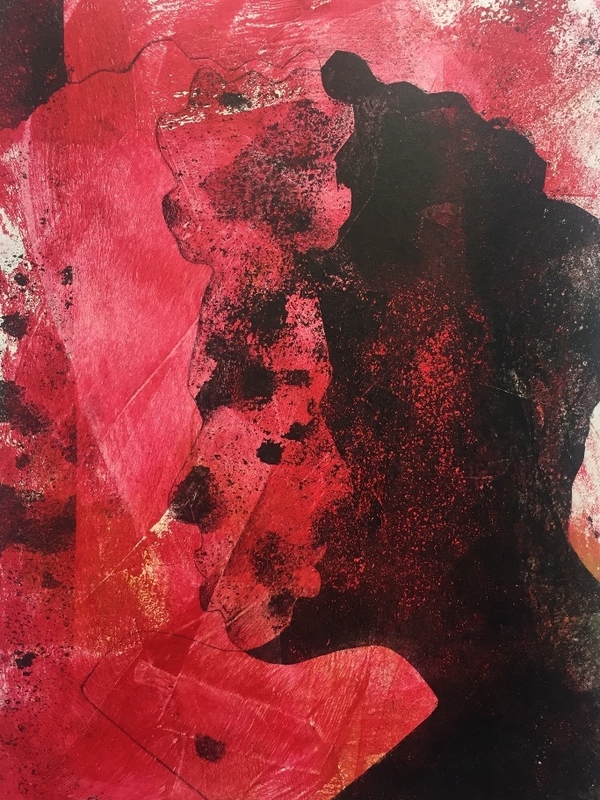 David Anthony Geary & James Nelson present an exhibition of collaborative work exploring feminine beauty and body image from a contemporary male perspective.